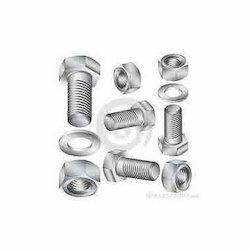 We are amongst the leading names in the industry, we trade, and export and supply wide range of Stainless Steel bolts that are manufactured with precision. We offer them in different sizes and dimensions and corrosion resistant in nature. Being the reckoned names in the industry, we offer highly durable range of SS 304 Bolt that is durable in nature and are corrosion resistant in nature. Our entire product range has high tensile strength and is abrasion resistant in nature. We offer them in varied sizes and dimensions and are easy to fit. We deliver them in well-defined time frame. Keeping in mind the diverse requirements of the clients, we offer an extensive range of SS 304L Bolt that are performance based and are abrasion resistant in nature. They have high tensile strength and are corrosion resistant in nature. We deliver them in varied sizes and grades and can be customized as per the requirements of our clients. 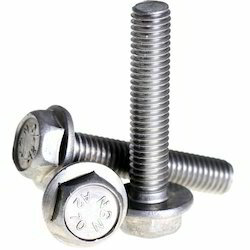 We Keshariya Metal is a leading supplier, stockist and exporter of SS 347 Bolt. 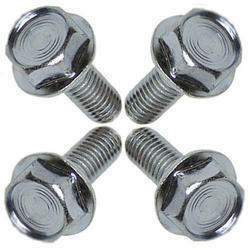 These SS 347 Bolt is mainly use in Big Industries. SS 347 Bolt is having a three qualities export bright, polished bright and black. This range of bars is well appreciated by the clients due to high tensile strength, dimensional accuracy and durability. Capitalizing on our vast industrial experience, we offer an extensive range of SS 316 Bolt that is sourced from reliable and certified vendors in the industry. Our entire product range has high tensile strength and is dimensionally accurate in nature. We are supported by the panel of experienced procurement agents who assist us to deliver an exceptional range of products.